Whether you are choosing a primary school or secondary school, there are plenty of options in Hong Kong. But there are also a number of factors to weigh up when making the right choice for your children. We talk to some international school staff to find out more about the people who help shape the city’s schools. Tell us a little bit about yourself. I’m originally from a little country town called Cloncurry, in North West Queensland – I taught Years 1 to 4 for a number of years in Sydney. I love Hong Kong and moved here in 2013 to teach at AISHK. 2016 is my first year with Year 6. What happens in the classroom on a typical school day? As soon as our Year Six students enter the classroom from 7.55am, they are getting themselves ready for the day so that by the time class starts at 8.20 they’re all organised and ready to learn. Pre- and post-recess are usually full with literacy and maths. After lunch, we have our research-based inquiry subjects, which cover history, geography, science and so on. Then we have our specialist subjects, such as PE, drama and IT, sprinkled in between. Before you know it, it’s 2.50pm and time to get to the bus. A lot of our students then continue their day with extra-curricular activities. What are the highlights of the Year 6 programme? Our school is very focused on Positive Education and this is applied through our wonderful Peer Support Program, where our Year 6 students are trained to each take a small group of students from Reception to Year 5 and lead them in a learning activity for 30 minutes over a term. It’s so rewarding and heartwarming to see their confidence and leadership skills soar through to their last lesson. The Images of Greatness Project is something students start thinking about long before Year 6, as they choose an incredible person to base their project on. In Term 2, as our students are researching and writing, they also have to go one step further and dress as their chosen person, create impressive project centres and movie trailers, as well as collect artefacts that represent their person. It really is a sight to behold, and families and the rest of the school enjoy browsing the finished projects. 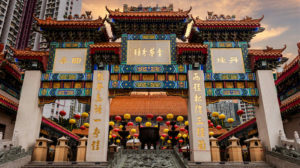 We also have an incredible school camp to Beijing in Year 6 – a trip for students and staff alike to treasure forever! For many of our kids, it’s their very first international trip without parents and certainly a wonderful opportunity for gaining independence, taking responsibility and forming even stronger friendships. As a Year 6 teacher, how do you help to prepare students for secondary school? Throughout Upper Primary, we are continually providing our students with the guidance and encouragement to harness the self-management skills, resilience, perseverance, bravery and love of learning that will support them in secondary school. These can seem like very small things, such as being responsible for their own preparation and organisation, taking initiative and then of course preparing them academically so that they enter Year 7 strongly. Towards the end of Year 6, we also have our Transition Day where our Year 6 students are given a snapshot of a day in secondary school to help to calm those nerves, allow them to meet some of their teachers and give them a clearer understanding of what they’re about to encounter. How long have you been in Hong Kong? I only arrived in August 2016, but I’ve been to Hong Kong a number of times while working in Vietnam, Thailand and China. How does schooling here differ from in your home country and other countries you’ve worked in? Teaching is much the same, although one difference is the length of time students spend in the school. I’m used to diplomatic capitals where students may be with the school for three or four years. At CDNIS, I’m really happy to see the extraordinary number of students who have been with the school since Pre-Reception. Parents choose our school as a place they want their son or daughter to graduate from. In what ways do you work towards the CDNIS vision statement during the school day? This vision – “to inspire excellence, cultivate character, and empower engagement locally and globally” – is ingrained into everything we do at CDNIS, and it wouldn’t be possible without three things: the calibre of students, the quality of teachers, and the incredible facilities we have here. I’ve been amazed at the engagement of the students: their enthusiasm, and their respectful approach to learning and to one another. The teachers are well qualified and their ability to work within the IB, Chinese and OSSD programmes, while moving all three forward, requires them to be multifaceted educators. What do you feel are the best aspects of the Canadian school system that have been introduced here, and in what ways has Hong Kong shaped the school? I believe that the level of teaching expertise and friendliness towards students is a Canadian attribute. There are many Canadian teachers at CDNIS and about 80 percent in the Upper School are Ontario-certified. This means the teachers are well schooled on how to deliver one of the best programmes around. Coupled with the IB Diploma and Middle Years Programme being taught at the same time, this means that teachers have to be creative, diligent, reflective and on top of curriculum changes. Hong Kong has had an influence on the school in so many ways. Even the Chinese architecture, which is married with the expansive post-and-beam architecture of Canada’s west coast, makes the school building an inspiring place for teachers and students to be at. Are there any achievements from 2016 that you’re particularly proud of? What’s coming up for the school in 2017?This year, we have been celebrating the 25th anniversary of CDNIS with a series of events, including a logo design competition, a commemorative publication, and a visit by primatologist Jane Goodall. We’re also pleased with how the community is looking forward with a focus on the education of our students, the most important outcome we as a community can have. We have much work to do with the upcoming IB and CIS visits over the next year, and we’re focused on embedding our new missions and vision statement as well as developing our five-year strategic plan. How long have you been in Hong Kong and teaching at ICHK? RW: I’ve lived in Hong Kong since 1988, with a four-year gap when I worked as Deputy Principal at RAF Akrotiri in Cyprus. I’ve been Principal here since 2010. TN: I’ve been in Hong Kong as an educator since 2008, having worked here in the police in the late 1980s. I joined ICHK in 2012. The school has been around for a long time; how has it changed in that time? RW: The culture of the school hasn’t really changed. But we have embraced new methods in learning and teaching that are steeped in educational research. We know far more about how the brain works, how wellbeing is vital to a child’s educational development, and how technology can be a tool to engaging students and developing creativity. We embrace the principles of the IB PYP, and we respect ourselves, each other and the environment. Of course, we’ve upgraded our buildings and facilities, and we have a magnificent playing field, but it is what goes on in the campus that really matters. TN: Our secondary school is relatively new, but education is evolving rapidly, so we have undergone extensive transformation even in eight years. Essentially, we are on the same journey as all forward-thinking schools, asking, “How do we equip today’s learners for a world in which constant and accelerating change is the norm?” We have comprehensive and creative answers to that question. How do you foster a sense of community at the school? RW: Visitors are continually struck by the strength and depth of our community. Our location helps, and strong links are forged between families. Parents and staff develop close partnerships, and many school events are held to bring our community together. TN: Firstly, our school is small by intention and by design. We are not-for-profit and have built a model that allows us to cap our population at around 500 learners. We believe this is the ideal size for a secondary school – big enough to offer variety and challenge; small enough to mean we all know each other by name and care about each other. Secondly, we run small classes, so that teachers and students can form proper, caring, mutually respectful relationships. Finally, we have a highly developed pastoral model, which we call “5+1”. Are there any achievements from 2016 that you’d like to mention? What’s coming up for the school in 2017? RW: A Wellbeing Policy has been developed which underpins all teaching and learning. Mindfulness has been included in all classes because of the benefits for learning, concentration and stress reduction. Activities including yoga for children and staff help promote wellbeing. We benefit from magnificent grounds, and a goal is to develop outdoor classrooms, similar to Forest Schools in the UK. Staff have received training and one teacher is working to become an accredited Forest Schools trainer. TN: We feel that 2016 was a pivotal year for us. Students again attained highly in their studies, with our graduating class moving onto their universities of choice. In 2017, we will open a new “makerspace”, build more flexibility into our timetable and continue to push creativity, collaboration and fostering a growth mindset as our key priorities. These are very exciting days! In March, Kellett underwent a full inspection carried out by the Department for Education in the UK. What did that involve? The BSO (British Schools Overseas) Inspection gives students, parents, staff, managers and governing bodies an insight into the overall effectiveness of the school and the standard of education that it provides in comparison to schools in the UK. Kellett was once again awarded an “outstanding” result, and it was the first time the Senior School was included in the inspection – a great accolade considering how rigorous the inspections are, and the very high standards expected of British schools. The inspection looks at many aspects of the school, from quality of education through the curriculum and teaching, to the personal development of students, their welfare, health and safety, and the leadership and management of the school. Our result is due to complete cohesion from teaching staff to administration, from parents to students. Is it the first time the school has undergone an inspection of this sort? No. In fact, our Pok Fu Lam campus was the first school in the world to go through a BSO Inspection (also with an “outstanding” result), back in 2010. This previous success makes the results of this year’s inspection even more special, as Kellett’s roots lie firmly in Pok Fu Lam – it’s where, over the last 30 years, our school has thrived and grown with Hong Kong. So it’s even more pleasing to see that this dedication to education has continued at our new Kowloon Bay campus, in both the Prep and Senior Schools. Congratulations on another successful year academically. How are the students doing overall? Last year’s cohort of Year 13s was the second class to graduate from Kellett in history, and we are very proud of them. While we’ve had some impressive A-level and I/GSCE results, one thing we like to note is that it’s not all about getting straight As across the board. A student who was predicted a C and achieved a B is as much a celebration as a student who gets straight As. This lends emphasis to our school motto of wanting to engender “a love of learning and confidence for life” in all our students. The Kowloon Bay campus has won some awards this year; tell us about those. There were a number of senior management staff who worked closely alongside architecture firm P&T Group on the design for the building, and the hard work put into it was rewarded by two design award nominations earlier this year. In February, Kellett was nominated for the Quality Building Award (QBA) 2016, in the “Hong Kong Non-Residential” category. The QBA recognises buildings of outstanding quality throughout Asia, and after various presentations and submissions, Kellett was selected as a finalist in its category, placing it in the top seven in its group. As well as this, Kellett’s Kowloon Bay campus was awarded the International Property Award (IPA) for “Best Public Service Architecture Hong Kong” – making Kellett the first school from Hong Kong to receive the award. Perhaps the campus’s greatest accolade is the “thumbs up” it receives from our students every day. They’re very proud of their school and truly appreciate the opportunities that their campus can offer them. Originally from Seattle, Leanne Dunlap has spent her career teaching internationally. This global educator has worked in schools in Denmark, Poland, Japan and Brazil before coming to Hong Kong a year ago to take up the role of Secondary Principal at HKA. In just a short time, Hong Kong has won her over, and that’s largely due to the home she has found in Hong Kong Academy. It seems that the students feel the same way. HKA is one of the few schools in Hong Kong that isn’t seeing a mass exodus of students returning to their home countries for secondary school – in fact, it is adding to its numbers in the higher grades each year. These articles first appeared in the Dec/Jan edition of Expat Living magazine. Subscribe now so you never miss an issue. Want more? Check out our section on schools in Hong Kong.